I’m honored to be hosting the book launch of Under the Nazi Heel by Scott Bury. The sequel to Army of Worn Soles a World War Two novel based on Scott’s father in-law’s experience as a Canadian drafted into the Soviet Red Army. As Zazulak had predicted, a German patrol stopped them on the outskirts of Ternopyl, where the road crossed a small bridge. A single soldier stood in the middle of the snow-covered road, pointing a rifle at them. Two others stood on the side of the road. One smoked a cigarette. Zazulak reined in just short of the soldier in the road, who maintained his aim on the sleigh. The smoking soldier came up to them. His rifle remained slung over his shoulder. “Where are you going?” he asked in German. He sounded bored. “Good morning, sir. We are just going to the market in Ternopyl,” said Maurice, smiling at the soldier. The third soldier burst into laughter. The smoker turned to him to frown, and then back to Maurice and Zazulak. “Get the hell out of here, smart aleck.” He thrust the ID papers back to Maurice and waved the solider out of the road. Zazulak snapped the reins. As the horse passed the checkpoint, he growled “What the hell was that for?” His eyebrows were twin clouds, threatening storm. Zazulak did not say anything after that, but glared at the road ahead. Maurice settled back and tried to keep from laughing aloud. Here’s the link to Scott’s Amazon page if your interested in reading more. This entry was posted in Uncategorized and tagged Action/Adventure, Nazi, Novel, Scott Bury, suspense, World War Two on March 3, 2016 by Dana Griffin. The accidents discussed in this novel are based on actual ones. Crew fatigue, reduced training, inexperienced instructors, pilots becoming dependent on the aircraft’s automation, and airline mergers so the upper airline management can profit at the expense of the employees are all actual problems airline pilots face. The portrayal of some in the FAA wanting to do something about these problems but being prevented by their leaders is also accurately depicted. Unfortunately I thought the author struggled to tie these subjects into a convincing thriller. The harassment the protagonist, Darby, experiences from her airline management I thought was a stretch for her alleged infractions. It wasn’t until the story was wrapped up did I understand why management had beleaguered her. But the author making Darby out as a hardnosed woman who didn’t take any crap was smile invoking, and made the climax at the end realistic. The other reason for my four star rating was the writing wasn’t as polished as I would have liked. There were a lot of stage directions to describe what was going on. Darby did this, then that, then she did this. The end was summed up in a narration I thought could have been more engaging if Darby had discussed the events with one of the other characters. Also, several events happened without any real setup or explanation as to how they came to be. But the heart of the novel was so precisely depicted I admire Ms. Petitt’s ability to put the reader in the cockpit of an advance aircraft like the Airbus A-330 and fill the scene with enough details that the reader understands basically what is going on without bogging the story down with extraneous details. I’ll be reading more of this author’s novels. 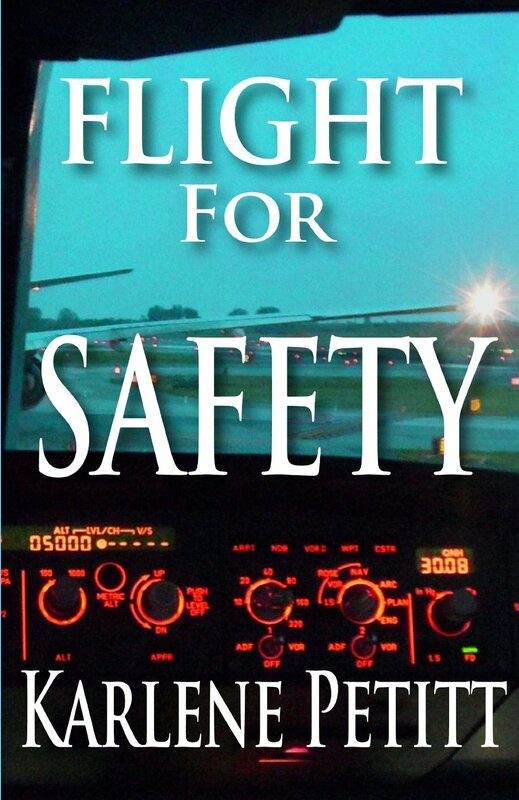 This entry was posted in Book Reviews and tagged Aircraft, Airline accidents, airlines, Dana Griffin, FAA, Karlene Petitt, mystery, NTSB, suspense, thriller on February 23, 2015 by Dana Griffin. 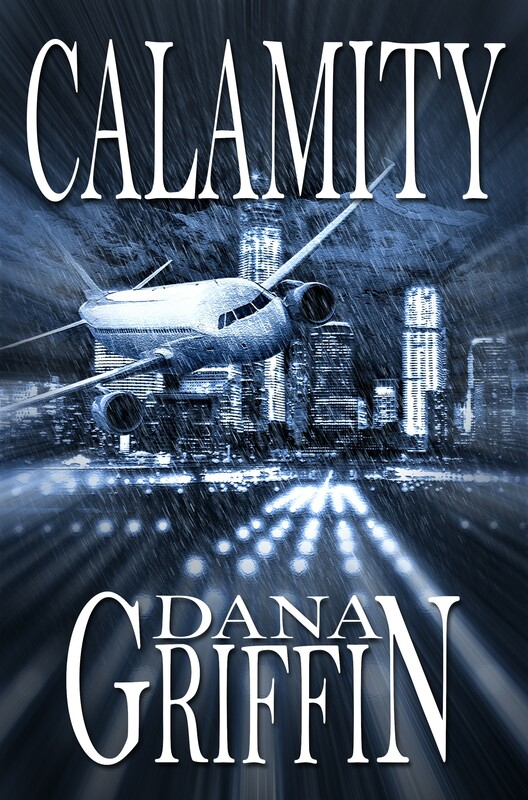 I’m honored to have the talented David C. Cassidy leave this five star review of my airline thriller, Calamity. Not only is David a talented graphic artist, he’s a gifted writer too. Check out his novels, Velvet Rain, Fosgate’s Game, and The Dark. This entry was posted in Uncategorized and tagged Action/Adventure, Airline accidents, Book Reviews, Dana Griffin, David C. Cassidy, FAA, NTSB, suspense, thriller on February 5, 2015 by Dana Griffin.